Unburdened by narrative—a major shift for the young Inness—Twilight on the Campagna experiments instead with mood. The artist later declared that his primary goal was “not to instruct, not to edify, but to awaken an emotion.” The twisting, tortured trunks of the trees at right, silhouetted by the waning light, are melancholic and resonate with the dramatic scenes of Baroque master Salvator Rosa (1615–1673). 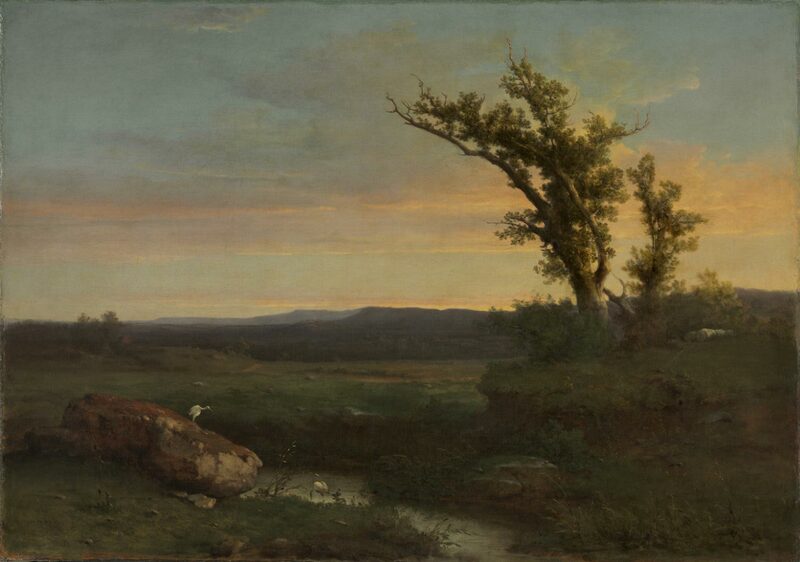 Painted soon after Inness’s arrival in Italy, Twilight on the Campagna anticipates the poetic dimension that became the artist’s signature in the last decade of his life.